Compare the Bichon Frise to the Brussels Griffon. Use the tool below to compare temperament, size, personality, maintenance requirements, and everything else between Bichon Frise and Brussel Griffons. 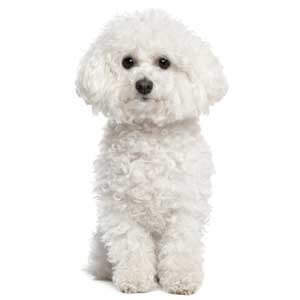 Owner Experience - The Bichon Frise is a good choice for new owners. 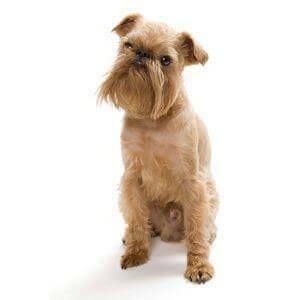 The Brussels Griffon is strongly discouraged for new or inexperienced owners. Children - The Bichon Frise is very child friendly. The Brussels Griffon does okay around kids, but is not as tolerant as the Bichon Frise. Grooming - The Brussels Griffon is very easy to groom. The Bichon Frise has very high grooming needs. Barking - The Brussels Griffon bark/howls frequently. The Bichon Frise has an average level of barking. Lifespan 12-15 yrs. 12-15 yrs. Height 9-11 in. 7-8 in.